Your first visit to our office will be a free exam for you or your child. Dr. Peterson will carefully examine the teeth for a wide range of possible orthodontic problems, such as crowding, cross-bite, gaps, etc. Once Dr. Peterson has a clear picture of the most likely course of treatment, we'll discuss what type of treatment is necessary, how long it will take, and estimate how much it will cost. You'll understand everything you need to know in order to decide whether to proceed with treatment. After Dr. Peterson has thoroughly evaluated your diagnostic records, we'll explain your treatment to you in detail, including the cost for your particular case. Patients are seen by appointment only. 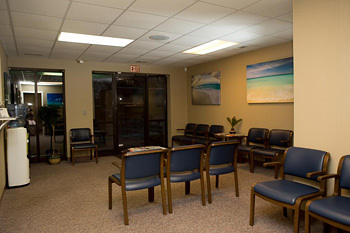 We make every effort to be on time for our patients and ask you to extend the same courtesy to us. If you cannot keep an appointment, please notify us at least 24-hours prior to your scheduled appointment time.